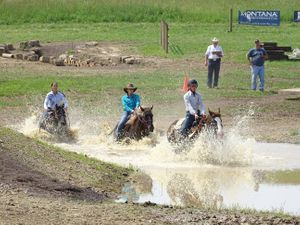 Creek Side will be hosting OQHA Mountain Trail Challenges, IMTCA Mountain Trail Challenges, Mounted Archery Competitions, Extreme Cowboy Events, Trail Rides, Mud Run, 4-H events and so much more! Be sure to check out our calendar of events! 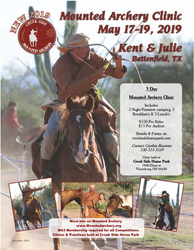 New Top of the line Mounted Archery Course everyone will want to come see! Come out for the Extreme Cowboy Race this summer in June! Many new and improved obstacles just for OHIO EXA! Invite the whole family to our privately owned facility that will make your jaw drop on the beauty of the land. We are nestled back in the woods where the quite terrain will help you forget the daily hustle. You are welcome to come and hike or horseback ride during our events. Enjoy trail riding through the woods and in open fields on the 400+ acre property where you will only run into you camping buddies. We will even host a Trail challenge class that you have your dog with you! Dogs will need to be on a leash while not in the classes. Our facility and trails will only be open during our event days. 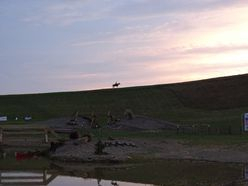 This is a new facility geared up for you to enjoy yourself with your family, friends, horses and dogs! We are under construction over the winter to bring you the best this spring, with this we get you more pictures as soon as we can. Be sure to make it out to our first event May 14, 2018 for our clinic with Mark Bolender! Open House May 18th for everyone, see the "Tailgate Party"